In a highly competitive market, employers recognise that employees with the right skills, experience and knowledge are essential to the success of their businesses. Human resources (HR) plays a key role in modern organizations and businesses, be they private sector, public sector or voluntary. Managing and processing a business’s payroll is an important task, and it’s vital that those handling the payroll have a full understanding and knowledge of the processes involved. The understanding and operating of a payroll system within a business is an essential requirement both from a financial control aspect and in order to meet with regulations laid down by HMRC. 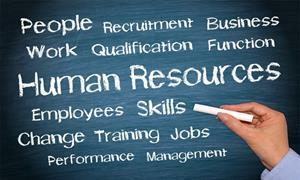 This course will teach you the responsibilities of a human resource manager. It will help you to understand the recruitment, selection and appraisal processes. You will gain knowledge of different cultures and ethics. Further this HR and Advance Payroll Management course covers diverse topics in HR, from the role of the human resources manager and how to recruit, select, train and assess employees, to employee motivation, employee-employer relations, and how to manage change within an organization. This course will also teach you the basic to advance rules of book-keeping and payroll management in easy stages so that you gradually build up your knowledge and confidence and eventually achieve complete mastery of the subject at this level. More importantly, you will be able to handle your own accounting records, or those of an employer, in a practical and professional manner. Whether you are just starting out in HR or looking to take your career to the next level, this course will give you the knowledge and skills you need to succeed. If you’re a beginner wanting to learn how to run the business payroll from scratch or to manage the business’s payroll, we would recommend you start with learning all the principles and practices of how a manual payroll is run and this will be an ideal course you for that. Successful candidates will be awarded certificate for “Certificate in HR and Advance Payroll Management”. Fill out your details to find out more about HR and Advance Payroll Management.